This petition has been created by Angelina K. and may not represent the views of the Avaaz community. 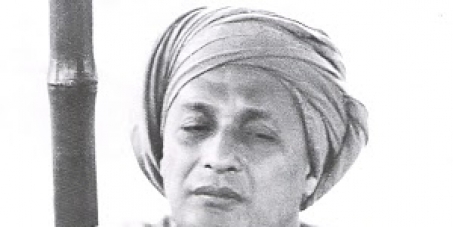 The article of Swami Satyananda Saraswati on Wikipedia is under a regime of dictatorship. 1. Abuse the article to include material that has never been classified as evidence in any court of law in the world. 2. Present allegations not related to Swami Satyananda. 3. Present allegations as evidence against Swami Satyananda, that have never been proven in a court of law. What happened to innocent until proven guilty? Swami Satyananda was never convicted and never brought to trial. This group is trying to manipulate the public opinion and distort the true facts, by presenting allegations in the most colorful and exaggerated way, like a tabloid. 1. The persons who accuse Swami Satyananda are doing this 6 years after his death, on issues that allegedly occurred 30 years ago. 2. The fact that the Royal Commission is not a court of law. Moreover, they are preventing anyone from adding these facts by instigating revert wars. This group of oligarchs have created an allegations paragraph that is larger than the actual Teachings paragraph, obviously with the intention to place a shadow over the real life and accomplishments of Swami Satyananda. With their hostility and aggression, they are preventing fellow editors from adding valuable information and expand the article. They have managed by questionable means, to get all users blocked who opposed this policy, by falsely accusing all of them of being sockpuppets. We believe that a great injustice is being done and is being covered up by abusing Wikipedia policies. We demand the article be restored to its previous state, that the allegations paragraph be removed and everyone responsible for the current state of the article, be investigated and disciplined, because they have prevented others. We demand that a thorough investigation should take place, on why users have been blocked, that have no relation between them, and on the actions of administrators and the rest of the users who control this article. This is NOT the WIkipedia that we aspire to look up for information. We aspire for a Wikipedia that is open to all, but moreover that it fulfills its duty towards the truth. We aspire for a Wikipedia that is not used to serve personal grudges and harm individuals and organizations. We want to set free the Swami Satyananda Saraswati article to present facts and only facts. We want to put an end to the terrorism that this group of oligarchs is spreading through this article.